With a typical well-sized solar system, householders can satisfy over half their hot water requirements from solar energy. 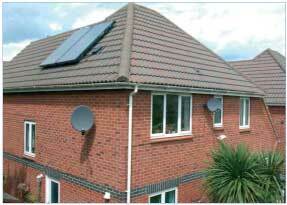 Solar systems also reduces CO2 emissions from the home. With this in mind Worcester is proud to offer a solar panel package for hot water heating which allows the consumer to take advantage of renewable and sustainable energy. Worcester Greenskies FK240 Solar Panels harness the power in both direct and diffuse sunlight and convert the energy to heat for the production of hot water for the home. The Worcester Greenskies FK240 Solar Panels are an ideal partner to the new range of condensing Greenstar regular and system boilers, with different models available in both oil and gas, which require a separate cylinder for the storage of hot water. When used together a Greenstar boiler with solar system provides a highly efficient system to give heating and hot water comfort. A typical well sized solar system should provide around 50% of the domestic hot water requirements of a home, representing a very worthwhile saving on hot water heating costs. The remaining hot water requirement is provided by the boiler. 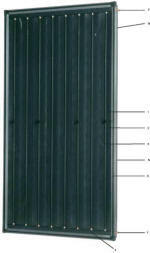 Worcester Greenskies FK240 Solar Panels form part of a system which remains separate from the boiler heating system. 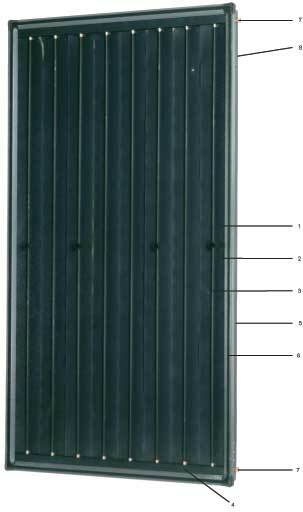 The panels are mounted on a surface which is selected for its exposure to sunlight and usually connected, via pipe work, to the lower coil of a twin-coil solar cylinder. The energy in the sun’s rays is absorbed by the panel and the heat is transferred into the pipe work in the absorber plates. The pipe work is filled with a ready-mixed liquid, containing glycol and water, which is circulated by a pump to the coil in the hot water cylinder. The heat is deposited in the storage cylinder and the glycol returns to the panel to absorb more free solar energy. The system is equipped with a simple unit to control the flow of energy from the panels to the storage cylinder. 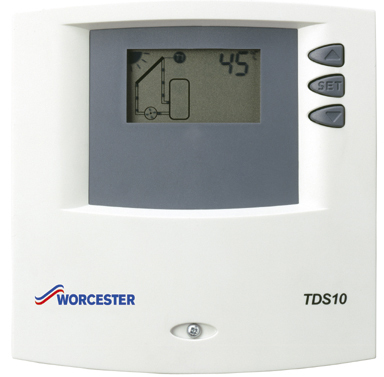 The Worcester solar package includes a simple controller (TDS10) which allows the user to select the temperature required at the hot water cylinder. The controller then automatically decides when to run the pump to bring the energy from the panels to the cylinder. The control uses a simple temperature difference to define when the pump runs. The temperature in the panel must be 8 degrees higher than the store for the pump to start running. This will continue until the panel temperature gets to 4 degrees above the store and then the pump will stop. This ensures that the pump is running only when the benefit from the solar panels is available.